Ideal for any types of catering, Vision’s collection of waiters cloths are crafted to an incredibly high standard and are ideal for creating a clean, polished and professional image. Hard-wearing, durable and perfect for protecting against spills or burns, our range includes white waiters’ cloths which feature an attractive yet simple striped design for a smart service. 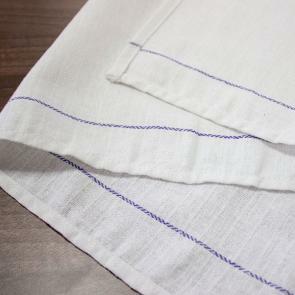 Our waiters serving cloths are available in wholesale pack quantities, so be sure to shop the complete range today.